Are you considering some home remodeling in Wheaton, IL? Let Express Remodeling take the stress and the hassle out of planning your home renovations. We’ve been doing this a long time and our experienced remodeling contractors in Wheaton are standing by to help you out with any project you have in mind. Whether you’re looking for bathroom, basement, or kitchen remodeling in Wheaton, we have the expertise and the skills to get the job done. We also offer the widest selection of materials for your home remodeling in Wheaton, IL. 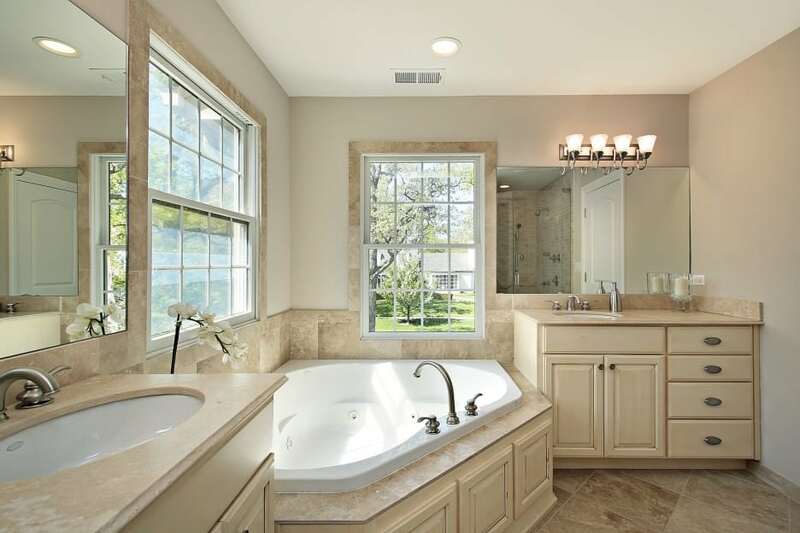 From fixtures and furniture to tile counters and flooring for bathroom remodeling in Wheaton, we’ve got it all in one place to make this the easiest renovation you’ve ever experienced. We also stand by our work. Any projects completed by our home remodeling contractors in Wheaton, IL are guaranteed to last, just ask any of our satisfied customers! A lot of homeowners prefer to begin with kitchen remodeling in Wheaton. It’s hard to overstate the importance of your kitchen, so let our kitchen remodeling contractors in Wheaton, IL get to work! We’ll breathe new life into this room with all kinds of storage options, countertops, flooring, and more. The next stop is the bathroom. Our bathroom remodeling in Wheaton includes just about anything you can think of. We’ve got shower enclosures to fit all styles, ornate or simple tile patterns for your floors, and high-quality fixtures. If you’re feeling creative, some basement remodeling in Wheaton might be a good idea as well! Our basement remodeling contractors in Wheaton, IL can help you maximize the space in your home and increase its value all at the same time. No matter what you have in mind, our team is ready to work with you to bring your vision to life. For custom home remodeling in Wheaton, there’s no better choice than Express Remodeling.